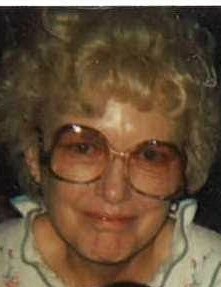 Ludenia Jean (Hobbs) Cupp age 87 of Indianapolis, IN formerly of St. Paul, IN passed away March 22, 2019 at Rosewalk Village Nursing Home of Indianapolis, IN. Gene Cupp whom she married on November 11, 1974. He passed away in August 1983. She was a factory worker for PMC Corporation of Shelbyville, IN retiring after 30 years. She is survived by her son, Mark (Christie) Lewis of Indianapolis, IN; her granddaughters, Heather Lewis and Morgan (Casey) Strawsma; and three great grandchildren. Visitation for Ludenia Jean Cupp will be on Tuesday, March 26, 2019 in Glenn E. George Funeral Home, 106 E. Franklin St., St. Paul, IN. from 10am until 12 Noon. Burial will be in Paul Hill Cemetery. She was a loving mother and loved her Parakeets. 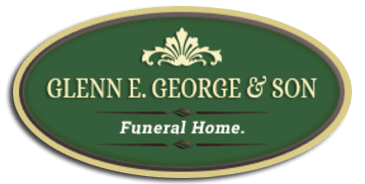 Memorial contributions may be offered to Anew Home Care Hospice, 3820 E. Southport Rd., Indianapolis, IN 46237.